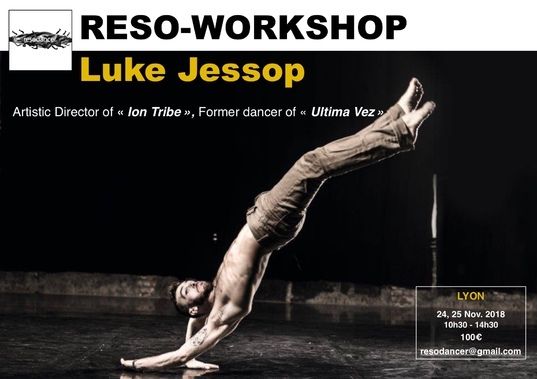 Reso-Workshop with Luke Jessop, unique opportunity in Lyon. Starting with a focused warm-up class each day, this workshop concentrates on using our body as one in a very physical relationship with the floor. Creating structures and curves with the body to enable creative-acrobatics, flowing in and out of the floor. We will seek to take advantage of gravity to 'ride the curve' down into the floor and use this energy to come back out, using less effort, less muscle, leaving more energy and power.